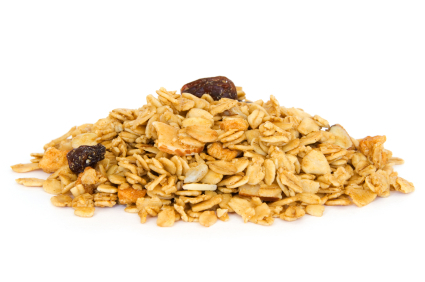 Granola is a favorite snack amongst outdoor enthusiasts simply because it’s light weight and high in calories. However, this popular snack is not only filling, but can also be considered a healthy, multi purpose snack since it can be used in muffins, used as a cereal, as yogurt toppers, and made into granola bars. Why not save a few dollars in your grocery budget and make your own fresh granola with ingredients that you have in your pantry. The best thing about granola is more ingredients can be added to satisfy your taste. Enjoy this simple granola recipe that will please even the pickiest of eaters. 2. Cook at 300 degrees for 20- 25 minutes, or until lightly toasty. The granola will crisp up more once it cools.